V-CUBE 4™ is the 4x4x4 version of the V-CUBE™ family! This is the flat-shaped version in BLACK! V-CUBE 4™ is a multicored, four-layered cube with exceptional quality and incredibly smooth rotation. The player is required to discover a strategy to achieve uniform colored sides on her/his V-CUBE 4™. 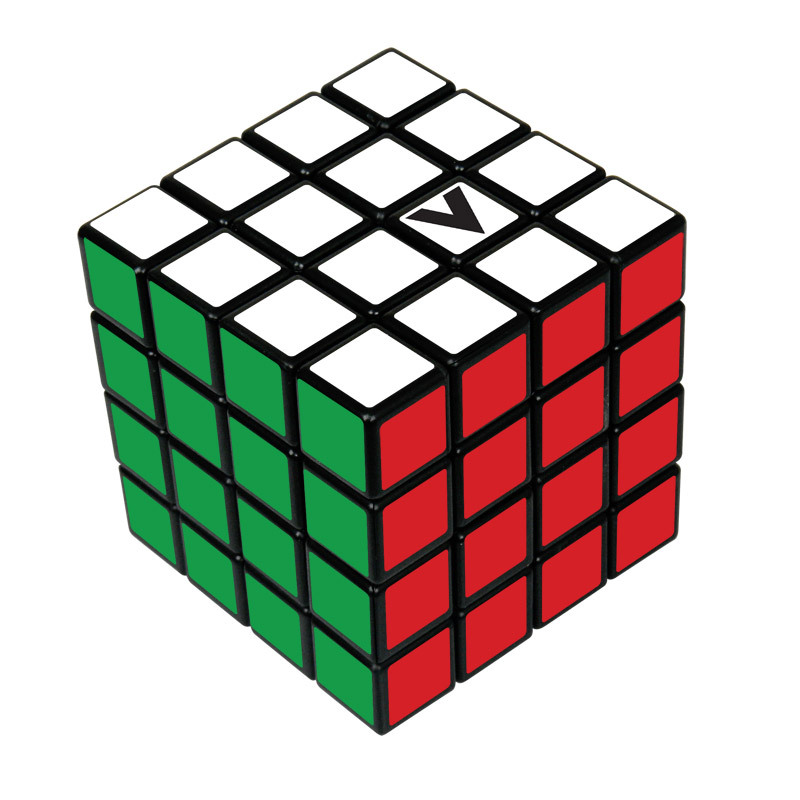 V-CUBE 4™ has approximately 7.40 * 1045 possible permutations and weights only 157g! It consists of 98 smaller pieces, and the solid cross that supports them, enabling them to rotate independently on based axes.